William Harrison Hays was born in Sullivan, Indiana on November 5, 1879 to John Tennyson Hays and Mary Cain Hays. He attended Wabash College, Lincoln Memorial College and Mount Union College, earning several honorary legal degrees (LL.D.) from 1919-1940. Hays was admitted to the Indiana Bar Association in 1900 and was a partner of the Hays and Hays law firm in Sullivan. 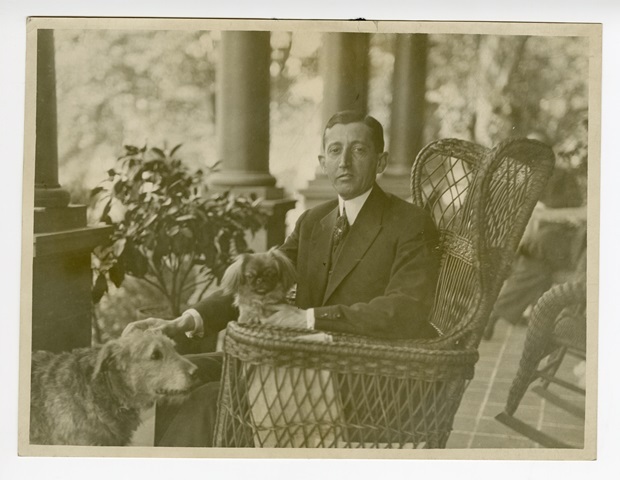 He served on multiple Republican committees and councils during the early 1910s-1921. Notably, Hays was the Republican National Committee Chairman from February 1918-June 7, 1921 and served as the campaign manager for Warren G. Harding during 1920. Hays was also the United States Postmaster General from March 1921-March 1922. After a decade of political service, Hays became President of the Motion Picture Producers and Distributors of America (MPPDA) during 1922-1945. He continued to be an advisor until 1950. During his time as President of the MPPDA, Hays established the “Hays Code,” an attempt at introducing censorship to film producers. For more information about Hays and his collection of personal papers located within the Rare Books and Manuscripts Division of the Indiana State Library, view the finding aid here: http://www.in.gov/library/finding-aid/4382.htm. 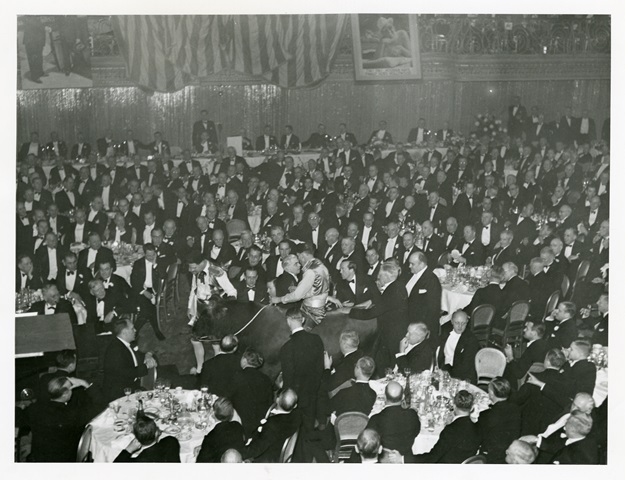 Irene Dunne and Will Hays attended the 30th Annual Banquet of the Indiana Society of Chicago on December 13, 1941. Dunne grew up in Madison, Indiana and was an actress and singer during the 1930s-1950s. She is best known for her performances in Cimarron, Theodora Goes Wild, The Awful Truth, Love Affair, and I Remember Mama. The film below features Hays poking fun at several Indiana traditions, including the “Old Oaken Bucket,” a traveling trophy awarded between college football rivalries, Indiana University and Purdue University. During the second half of the film, Dunne sings, “On the Banks of the Wabash” by Paul Dresser. In 2014, the Rare Books and Manuscripts Division digitized this video and audio found on an 800 foot, 35mm nitrate film with a separate 800 foot, 35mm nitrate optical soundtrack. Digitization was made possible by the Indiana State Library Foundation. The original nitrate films are now located at the Library of Congress’ Motion Picture Conservation Center in Culpepper, Virginia.